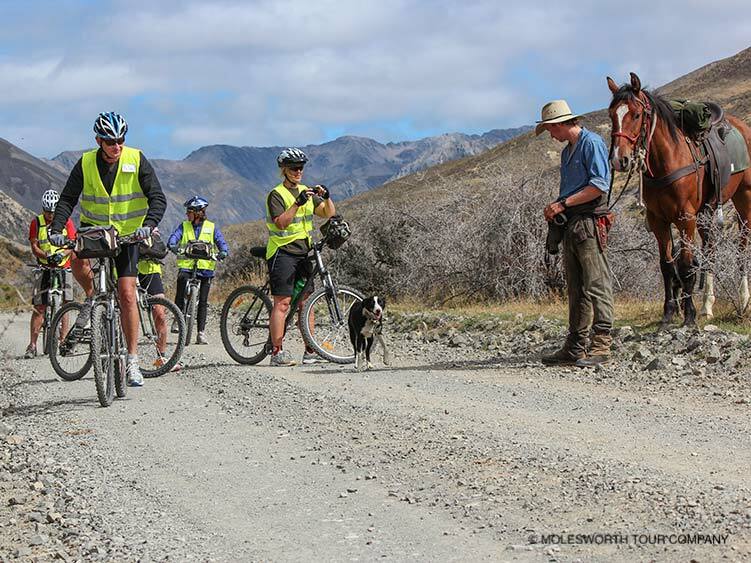 The Four Day Cycle Tour will let you enjoy biking the best parts of the Awatere Valley and Molesworth Station in the beautiful Marlborough high country. Bike through the Maruia Trail native bush and off-road cycling to stay at Nelson Lakes and experience cycling through the Spooners Tunnel, at 1.35km, it is the Southern Hemisphere’s longest tunnel used exclusively by cyclists and walkers. Enjoy meeting local farmers, good food and comfortable accommodation. Between 8.00 and 8.30am pickup from your accommodation in Blenheim. Inclusions: Morning tea, lunch and dinner and classic shearer’s accommodation on a station in the Awatere Valley. Individual bedrooms sleeping two people, bathroom facilities are shared. E-Bike hire - $400 for the four days.